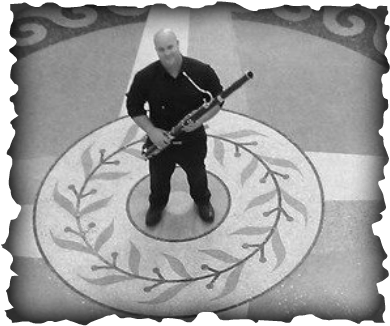 Based out of San Diego, bassoonist, contrabassoonist, and music contractor Dan Weiss is available to perform with chamber groups, symphonies, and pit orchestras in the Southern California region and music festivals worldwide. Dan has over 20 years of performance and musical collaboration experience, and has won awards at numerous competitions for both solo and ensemble work. As a contractor, Dan connects musicians, event coordinators, and venues. He has facilitated large and small ensembles for stage productions, private events, and symphony concerts, and is available to assist with event coordination, music consulting, music competition judging, festival coordination, and exhibition presentations. Dan has been a featured chamber or solo performer in many cities across North America, and is always looking to add new destinations and experiences to his resume. If you are searching for a skilled player for an upcoming festival or other music need, please don't hesitate to contact via email or phone.